So you’ve booked your room, and your spa treatments. But, are you really ready for an entire day at the spa? I’m guessing you are, but what about you’re partner? Typically, my husband and I will ask me to carry his swim trunks down to the spa. On the upside, he remembered to pack his trunks this time, but on the down side, who do you think carries his wet trunks back to the room? He also likes to stop and have a drink on the way back to the room. Ok, in reality it is more likely several beers while waiting for me to finish all of my treatments 🙂 Hanging ones trunks on the bar is not very appetizing. In order to get a little more organized about our spa activities, lets take a realistic view about what you will need to bring for yourself and possibly others. Why does my cat always want to help me pack? Let’s start with the bag. The satellite bag. That’s right, once your kids have graduated from the diaper bag, you still have to schlep the kids stuff or in my case, the hubby’s stuff. If traveling solo, you will still want to have some of these items with you. 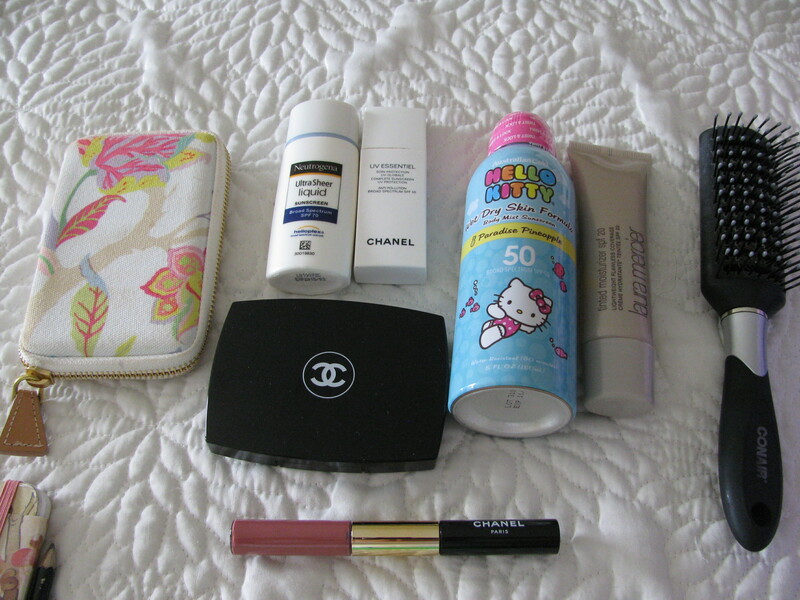 I have a couple of ways I pack for a day at the spa. I like to carry a large tote/oversized handbag for car trips. 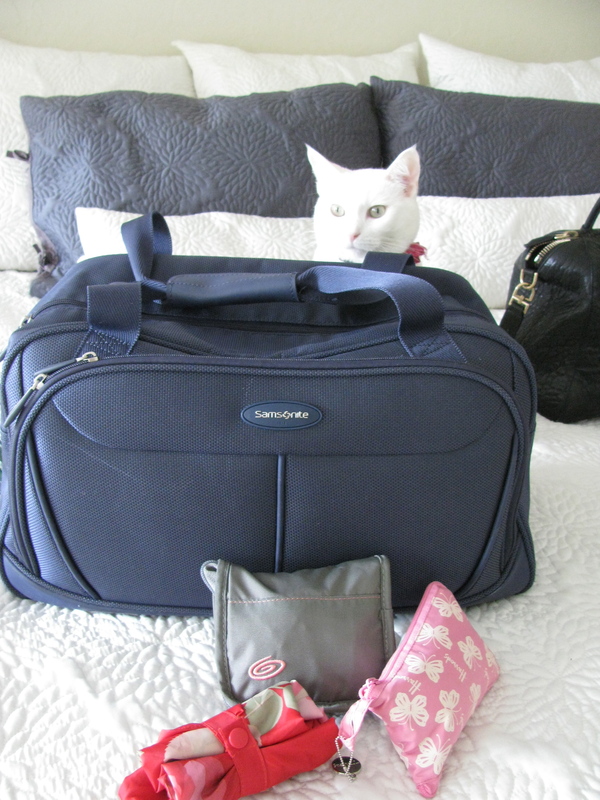 When I fly, I like to use very compact, thin bags that I can pack within my luggage. Taking a dry cleaning bag from the room to the spa pool, gym, or beach is not exactly chic, but in a pinch, it will work just fine. I like to always keep a thin, lightweight bag in my luggage to use at the spa, pool, gym, day trips, or to use as additional luggage. 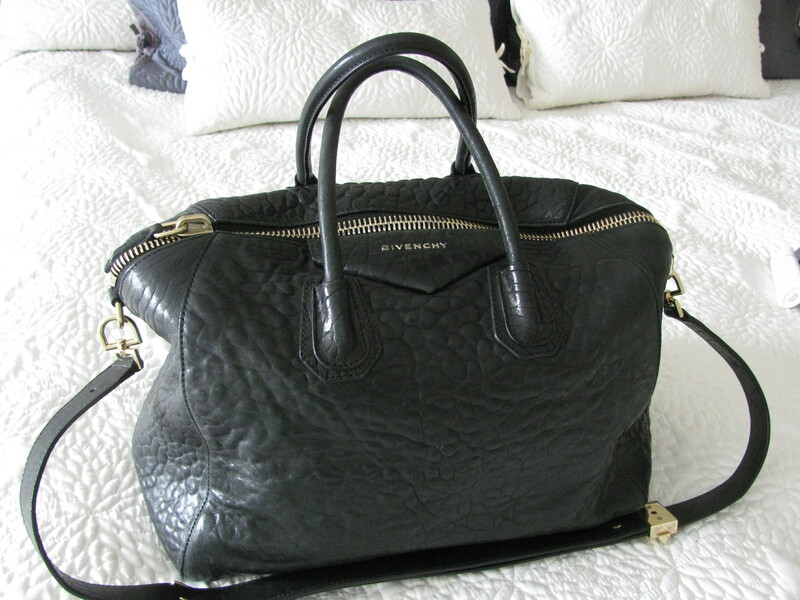 This is a bag I prefer to carry when taking car trips and I don’t have to worry about size or weight of my luggage. I am hoping that you are staying at a fancy resort that has pool/beach towels, a vat of sunscreen, and a cute towel boy at the pool. But if you are not, the bag needs to be at least large enough to hold a towel. Don’t forget your sunglasses! I can’t tell you how many times I was just going to get a massage, then end up sitting out by the pool or on a patio for hours. Not having your sunglasses is a total bummer. Pool cover up, change of shoes and or clothing, bathing suit, hat, sunglasses, and maybe a towel. 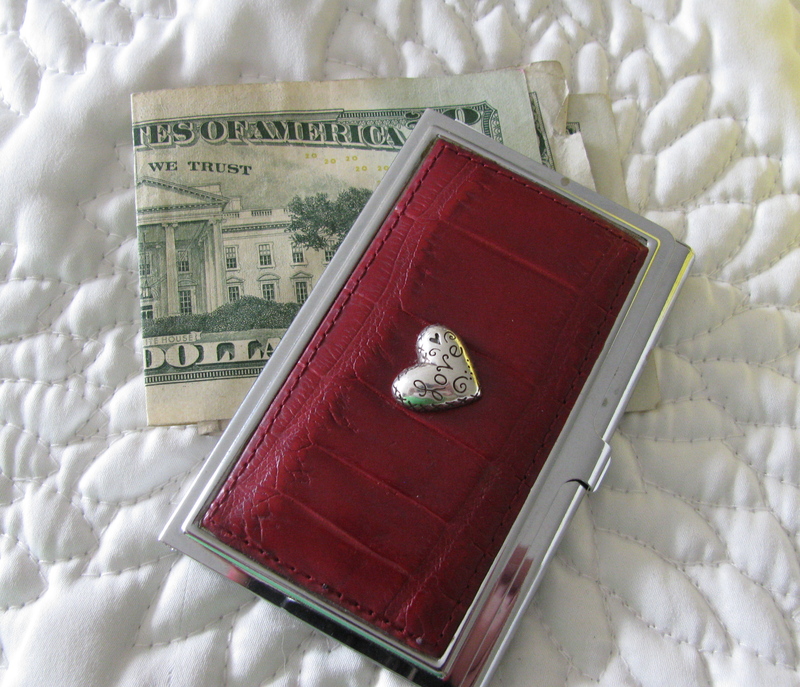 Wallet, room key, and cash. Cash is king when it comes to tipping. I prefer to use a business card carrier for my room key, credit card, and business cards. It is also easy to put into an evening bag for a fun night out. Sunscreen is a must if you will be enjoying the outdoors for an extended period of time. Many high-end resorts will have some sun block in the locker room or at the pool. Or, they will sell you some very expensive sunblock. Tuck your favorite brand in your bag and don’t sweat what kind of coverage you will be getting. If you are booking a facial, you may also want to pack a hat. Sun exposure after a facial is not a good idea. I am always impressed when the spa offers really nice hair care products and real brushes. Those little “man combs” that are usually provided are pretty worthless. Keep a large tooth comb or vented brush in your bag and you will be able to fix your hair much easier. Ponytail holders, clips, or a headband can be handy. Worse case scenario, you packed a hat, right? I don’t always carry this much product, but it is nice to have what you need if you are not going directly to your room or home, after your treatments. Bring your bathing suit. Pack your own and enjoy the coed whirlpool or pool without having to buy one or worse, use a “loaner suit.” Sorry, it’s a nice idea for a service, but I’m a germaphobe about certain things. The dry cleaning bag from your room or a plastic bag. I use these to put my wet suit(s) in, to keep it from dripping or getting everything else wet. Ok, those are my bare basics for a trip to the hotel spa. Here are some other items I like to have with me. A book, magazine, or tablet/smart phone. 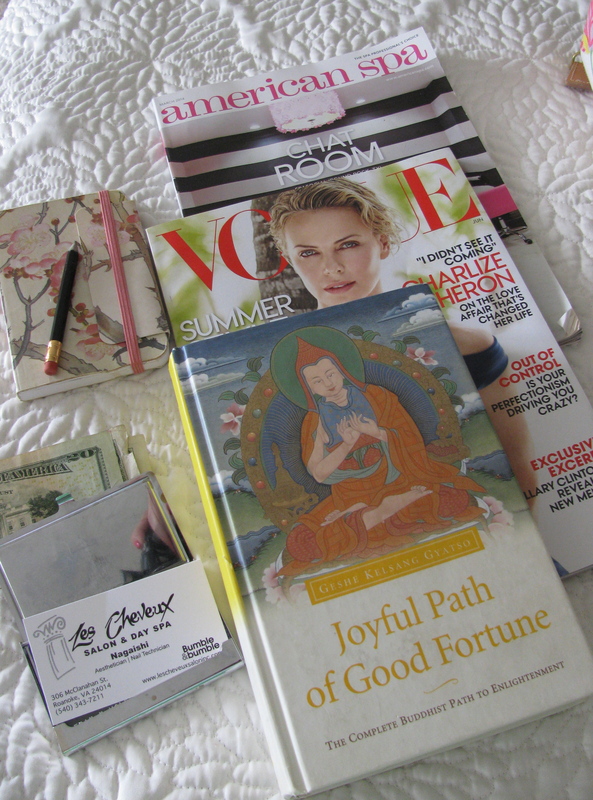 Extra stuff I like to have if I am spending an entire day at the spa. Your iPod (yes, I have a spa playlist). A compact for light make-up coverage, if we are not going back to our room or home. Lipstick. I don’t leave the house without applying lipstick. Why would I leave the spa without some on? After a great facial, this may be all the product you need. 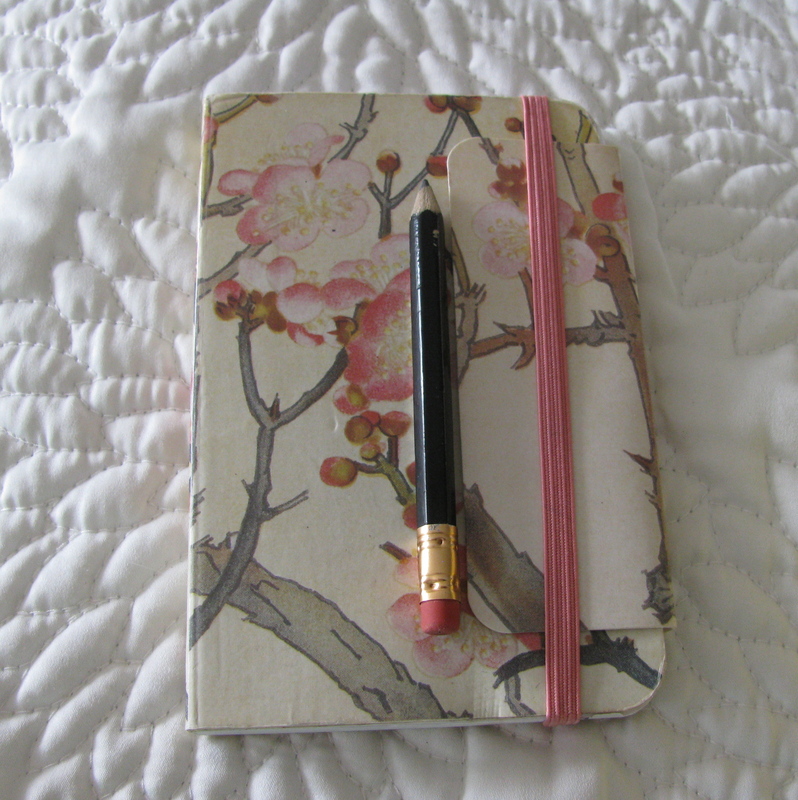 A notebook and pen to write ideas or make lists. I find a lot of inspiration in the quiet of a spa and I need some way to remember these ideas. Typing on your smart phone may not be the best way to capture these thoughts, as cell phone usage is generally frowned on in a spa. I like to keep a small pad of paper and pen in my robe to jot down all those incredible revelations that occurred to me in the meditation room. If I am staying at a budget spa/day spa for an extended day, I may bring my own cover up and spa shoes. Don’t get me started on “spas” that don’t provide robes! If I am working out in the fitness area, I will usually wear my workout clothes and sneakers to the treatment. If you don’t want to be an outfit repeater after your workout, you will want to bring a change of clothes. Expert note, wearing Spanx (which are awesome) right after a treatment is a struggle, don’t do it! It will kill a good spa buzz. I realise this stuff is common sense, but I cannot tell you the number of people I see who carry in their huge luggage/briefcase/enormous make-up bag into the spa. It kills the vibe when it looks like your luggage exploded all over the shared locker room. 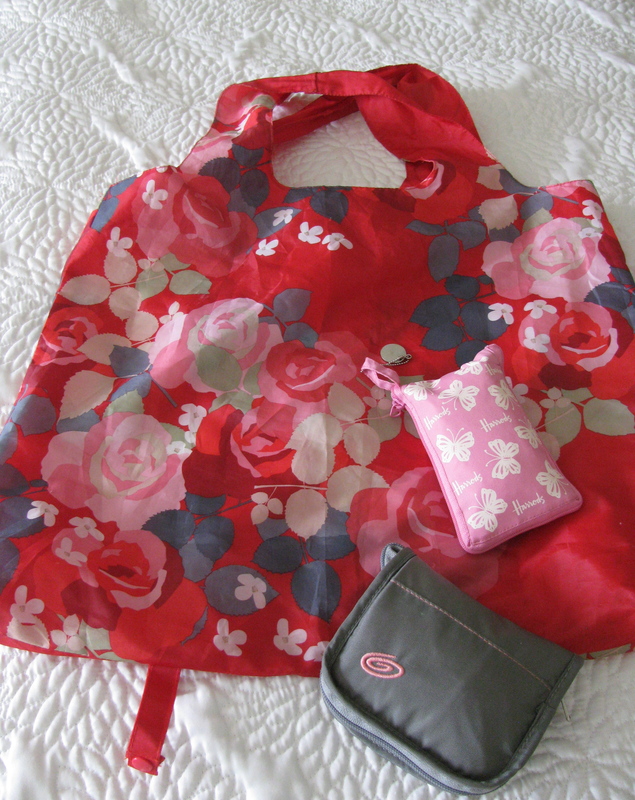 Most hotels/spas will gladly store your bags for you if you have already checked out, or are just a day guest. Do us all a favor and have your satellite bag. I always keep one in my small carry on. It can also serve as additional luggage if you end up having a little retail therapy while traveling. Did I miss anything? What’s in your bag? Hi there, everything is going sound here and ofcourse every one is sharing information, that’s genuinely excellent, keep up writing. and visitors will flood your website in no time. .. Superb .. I will bookmark your blog and take the feeds additionally? site and at the moment this time I am visiting this website and reading very informative articles or reviews at this place.